Abu Dhabi – Abu Dhabi Racing’s Junior Driver Mohamed Al Mutawaa has hailed the support and backing from his team as the youngster eyes for a solid debut at the PEUGEOT 208 Rally Cup that gets under way at the end of the month. The seven-round 2018 PEUGEOT Rally Cup will kick off on March 31 with the Rallye “Terre des Causses” on gravel before the second round is held on asphalt from May 18 to 20. The third round will be held from June 14 to 16 followed by the fourth from July 5 to 7 with the season ending with the “Rallye du Var” on asphalt from November 22 to 25. Affectionately known as ‘Little Mo’ in the racing fraternity, the youngster will have Aaron Johnston as his new co-driver for this season. Al Mutawaa has displayed a sound pedigree for racing. Four years ago he made his debut as one of the most promising Emirati Rally drivers while winning the Middle East Rally Championship in the 2WD class. 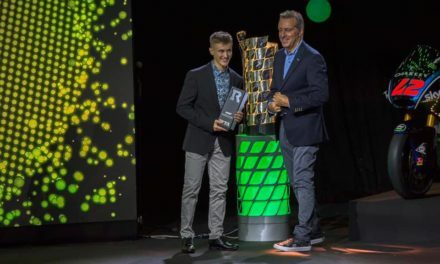 He next moved was to the JWRC with support from Abu Dhabi Racing (ADR) under its Junior Rally Program for two seasons before turning his attention last year to the French Rally Championship where he won the last round. Sheikh Khalid Bin Faisal Al Qassimi, Chairman of Abu Dhabi Racing, was thrilled with the prospects before Al Mutawaa. “Mohamed is a persistent sportsman and deserves his seat in the PEUGEOT 208 Rally Cup. 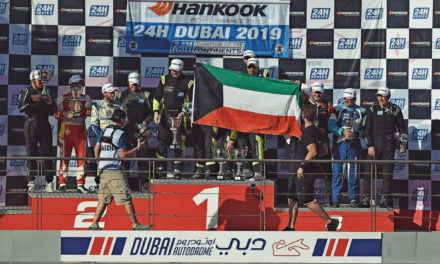 It is time to put him in a challenge where he can compete with the best drivers in his age and have a real chance of moving to competition in higher categories,” Sheikh Khalid said. “If Al Mutawa succeeds in winning the PEUGEOT 208 Rally Cup Championship, his seat in a Citroën C3 R5 will be ready under the direct supervision of Citroën Racing at the French National Rally Championship. We wish him the best of luck,” he added. The young Emirati driver was pleased to take on the challenges before him. “I would like to renew my thanks to the Chairman of Abu Dhabi Racing, Sheikh Khalid Bin Faisal Al Qassimi for his trust and for his continuous and invaluable support to my career. 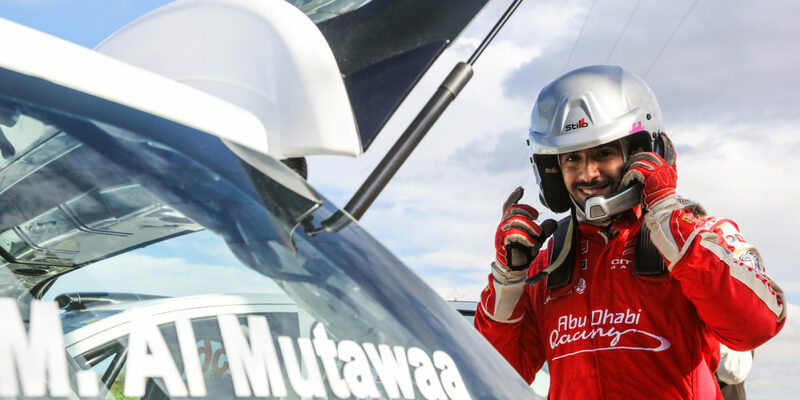 Last year, I signed off on the best of notes while winning the Rally Vaucluse – the final round of the French National Rally Championship, and that gave me a lot of confidence,” Al Mutawaa disclosed. “Since then, I have been very confident in my abilities and have begun to think about what is coming up next. I think I will gain new experience with the PEUGEOT 208 Rally Cup as I trust this can be a valuable addition to my experiences as a driver. The car is new, the stages are new and I’ll have a new co-driver [Aaron Johnston] next to me. 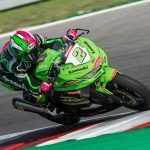 I look forward to some testing now and preparations for the first rounds of the season where I hope to succeed in achieving outstanding results,” he added. The 2018 PEUGEOT 208 Rally Cup is Peugeot Sport’s one-make trophy that is being organised within the framework of the FFSA French Rally Championship. Based on the PEUGEOT 208 R2, this hotly-disputed series is open to experienced and new drivers and teams alike. 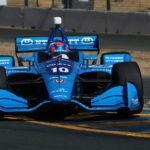 Drivers aged less than 27 years old will be eligible for the top prize which will be a high-profile programme in a four-wheel drive car if they also come first in the overall standings. 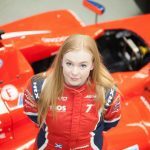 There is an additional motivation for drivers with the best-placed junior in the provisional order of Round 4 (Rallye du Rouergue) getting an invitation to attend the ERC Junior Experience programme.